Location: Portland, Maine • Date: 7/28/11 • Standard Print (w & h): Image: 53.3" x 36.0"
This image of a wet yellow pages is composed of 30 individual shots taken at 200mm. 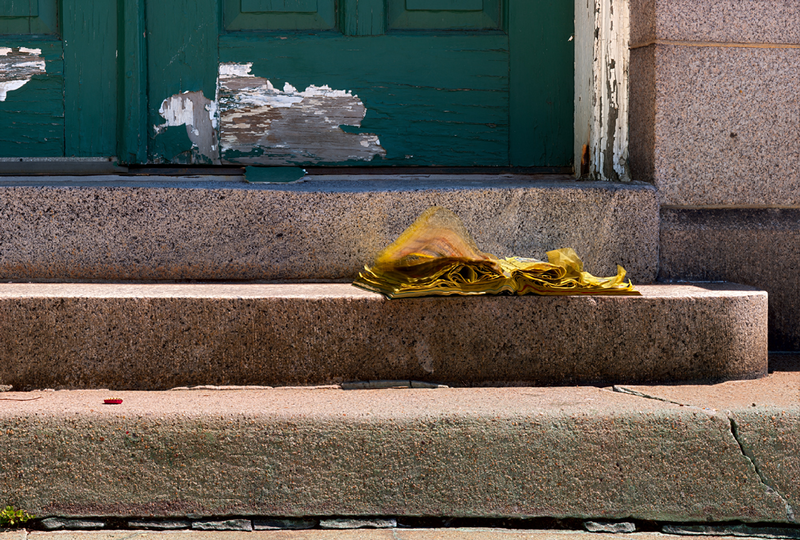 The yellow pages were sitting on the steps of One India Street, which was at the Maine terminus of the Canadian Grand Trunk Railroad. While I was shooting a breeze came up and provided some animation.